Through this Total Productive Maintenance (TPM) training, EXEGENS® offers you the Total Productive Maintenance (TPM) approach whose objective is to increase the efficiency of the equipment and, of each piece of the equipment. TPM can be considered as the “Medicine for hands and equipment”. More specifically this is a whole maintenance program. 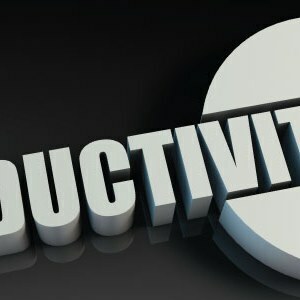 TPM aims to improve productivity, to improve the working time and to increase employee moral and satisfaction. TPM is an innovative Japanese concept and ww can say that it began in 1951 when preventive maintenance was introduced in Japan. Total Productive Maintenance (TPM) is the maintenance performed by all employees organized in small groups. TPM has two main goals: zero equipment failures (zero breakdowns) and zero defects. These are improving the equipment productivity percentages and reducing the costs. Meanwhile, it reduces the costs for spare parts storage. 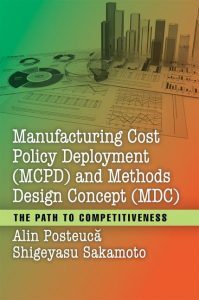 The TPM goals: avoid waste at rapid changes in the economic environment (competitors, suppliers and customer requirements), rapidly manufacture products without reducing quality, production with lots of small quantities in the shortest possible time, reducing costs, goods sent to customers should not have defects. 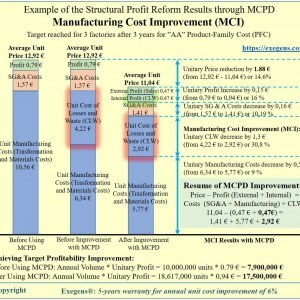 Statistical results of TPM: productivity improvement by 50%, breakdowns reduction 1-100 or 1-150, reducing the number of defects 1-10, reduction of the customer complaints, reducing maintenance costs by 30%, reduction of the running production with 50%, reducing electricity costs by 30%, zero accidents, zero pollution, increasing the number of the suggestions of the employees to 10 times. 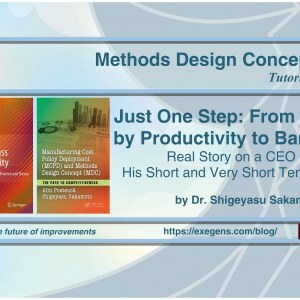 Kobetsu Kaizen: KAIZEN projects to identify and reduce the 16 categories of losses in order to increase the OEE and the productivity of the employees. Planned Maintenance: designing the general plan in order to reach zero stops of the machines. 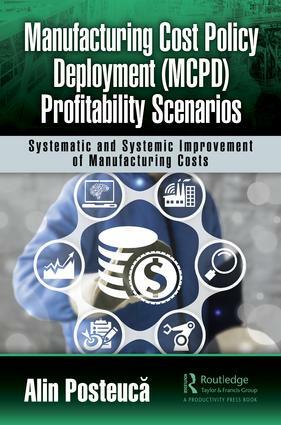 Quality Maintenance: eliminating chronic losses to reach zero defects. Initial phase of the equipment / product control: creating archives for planned maintenance to remove losses since the initial phase. Training: designing techical training programs to develop the skilles of the employees. TPM in the offices: autonomous maintenance in the offices and KKobetsu Kaizen to eliminate “the work without purpose” in the offices (which does not add value). Safety, Health & Environment: design Kaizen projects in those dangerous areas to bring accidents and pollution to zero. Customer satistaction: the creation of “loss tree” for the customers to reduce complaints to zero (target costing for NPD). Introduction to TPM: TPM’s relations with TQM and TPS; Problems in implementing TPM – 12 steps of implementation. Targets; Organization of TPM – Committees and Master Plan: 16 major losses and OEE (losses during production activities). The 8 pillars of TPM. 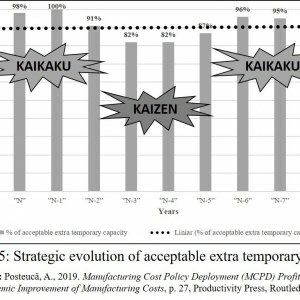 Pillar 1 – OEE and Kobetsu Kaizen (Focused Improvements): PDCA cycle and 12 Steps of Kobetsu Kaizen to address the 16 major losses of production area. 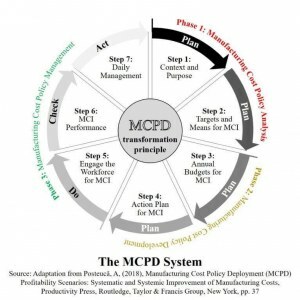 Pillar 2 – Autonomous Maintenance: 7 Steps to Autonomous Maintenance; Development Plan for Autonomous Maintenance (Jishu-Hozen Development Plan); One-Point Lessons. 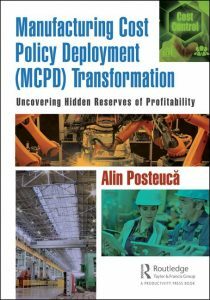 Pillar 3 – Planned Maintenance: Diagnosis and elimination of failures (breakdowns), Performance parameters for Planned Maintenance, Equipment Classification, Maintenance cost. Pillar 4 – Quality Maintenance: 0 defects; Quality Maintenance Activities; 10 steps of Quality Maintenance (Hinshitsu-hozen); QA Matrix; Determination of 4M conditions; Identification of abnormal points (Fuguai). Pillar 5 – Training for TPM (Skills; TPM Master Plan for: 5S, SMED, PM Analysis, Poka Yoke, FMEA, OPF, OPL, PST; Operational Skills; Maintenance Skills etc.). Pillar 6 – The initial phase of equipment/ Product control: MP – Maintenance Prevention; creating archives for planned maintenance. Pillar 7 – Safety Health & Environment and Pillar 8 – TPM in Offices (Jishu-hozen in Offices). Analysis of Chronic Falls/ P-M Analysis (advanced TPM; Understanding the nature of chronic losses; Problems in Reducing Chronic Falls; Optimal conditions; PM in 8 steps). OEE – Overall Equipment Effectiveness: Importance; Why operators are important? The Role of Teams; Understanding the relationship between equipments and losses. TPM Activities and Team management. Who should attend: Plant Managers, production manageri, chief engineeri, maintenance engineers, industrial engineers, Continuous Improvement Managers, Human Resource Managers, supervisors, process engineers, Production Team Leaders, managers of the departments, craftsmen, operators.